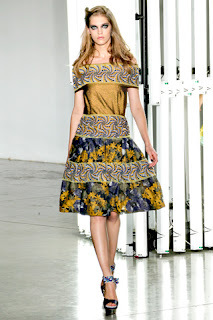 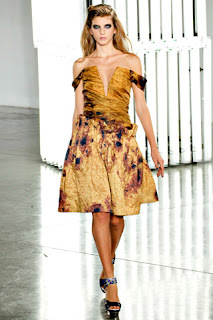 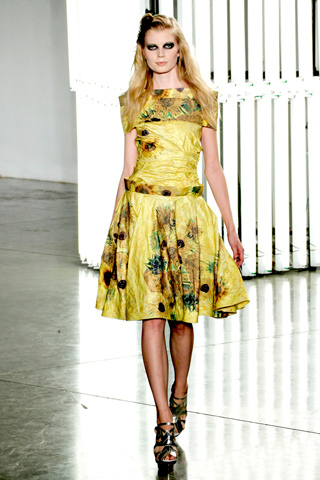 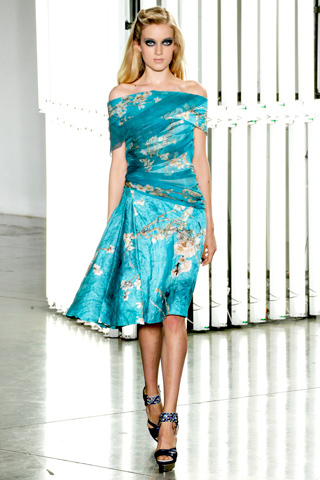 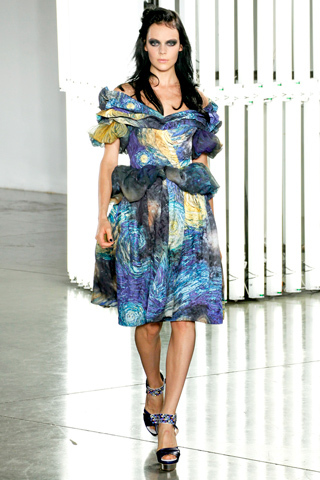 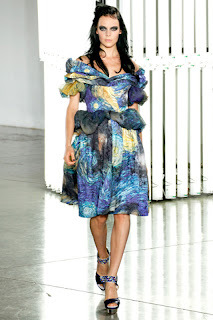 Inspired by Disney's Sleeping Beauty and Vincent Van Gogh, the Rodarte Spring 2012 collection at New York Fashion week was both mesmerizing and mystical. The iconic sunflower and night sky patterns from the Dutch artist worked well on the hoard of dresses, both fluid and more structured/shaped. 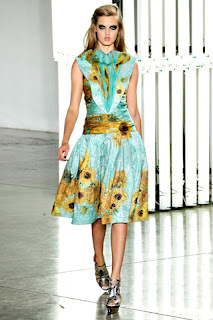 None of this seems 'ready to wear' though lol. 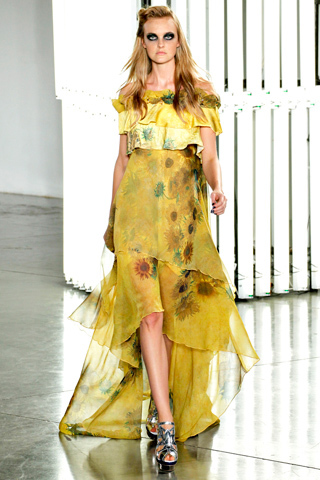 Maybe the sunflower dress below left (could see Blair Waldorf rocking that quite comfortably on Gossip Girl). 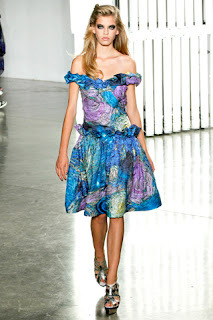 Taylor Swift, Saoirse Ronan, Dakota Fanning and Anna Wintour were all front rowers at the Rodarte Show.